The Comedy Nest is a womxn-focused comedy show and open mic. Half our open mic spots are reserved for womxn. All comedians, new or seasoned, agree to abide by our hate-free policy. A featured comic, usually a great out-of-towner or a local favorite, closes out the show with a longer set. Come out to laugh and support Seattle’s amazing stand-up scene. Only 5 bucks, every Tuesday night at 8ish in The Jewelbox Theater at The Rendezvous in Belltown. Want to try stand up? Itching to get on stage? 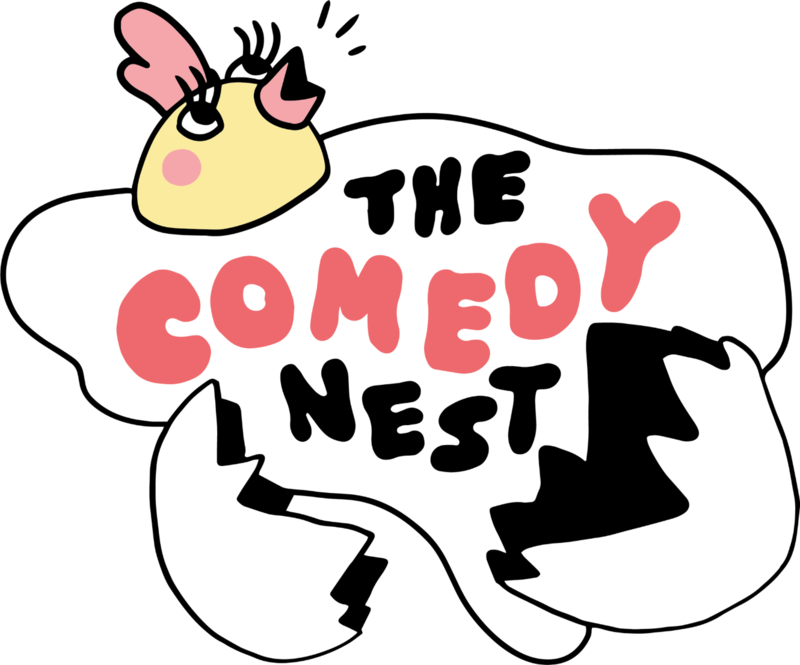 The Comedy Nest is a supportive, heckle-free environment where you can try out your new material. Sets are three minutes. You may sign-up via email the Sunday before each show. Contact comedynestseattle@gmail.com between 12-4pm. The list is posted on our Facebook and Twitter pages Monday evening. The Comedy Nest is located in the Jewelbox Theater at the Rendezvous, 2322 2nd Ave, Seattle, WA. The performance space and restrooms are ADA accessible. Although there are steps to reach the stage the microphone can be moved to an accessible space for those who need it. If you have questions or require additional accommodations, please message our page or email us.